Biggest Family in the World | Grandpas Can! The incredible story of Charles Mulli’s life from poverty to riches to becoming the father to the fatherless. Discover the inspirational and true story of a poor abandoned six year old Kenyan boy who grows up to become successful, powerful and very rich, but decides to sell all he has to rescue street children whose condition reflects his own childhood. Saving one child turns into rescuing thousands, and each new challenge that Charles Mulli faces presents a new opportunity to trust God even more. 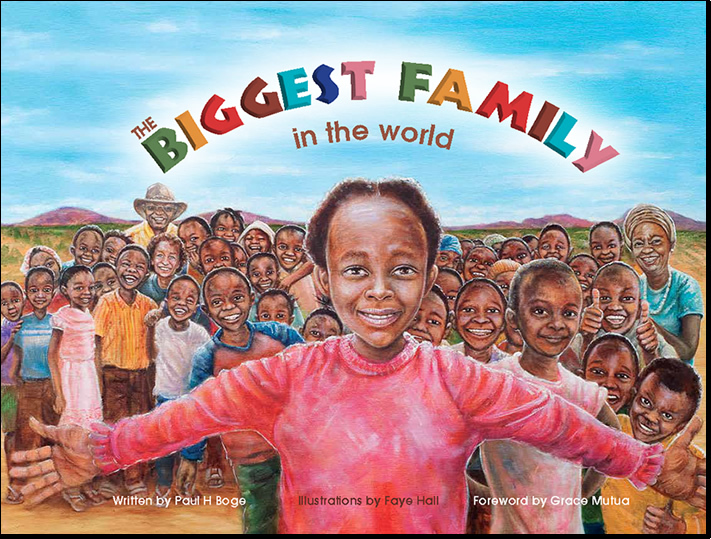 This wonderfully illustrated book captures the essence of Africa and the joy of Mully Children’s Family. The Biggest Family in the World will encourage every child to experience how much God loves them, and look for the special plan He has for their life.